Michael F. Bird. Evangelical Theology: A Biblical and Systematic Introduction. Grand Rapids: Zondervan, 2013. 912 pp. $49.99. 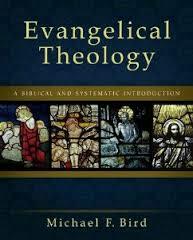 This month marks the release of Michael Bird’s new book, Evangelical Theology: A Biblical and Systematic Introduction (henceforth, ET). Professor Bird is lecturer in theology at Ridley Melbourne College of Mission and Ministry in Melbourne, Australia. He is the author of numerous books on topics ranging from the person of Christ to a commentary on Colossians—of which I gave high praise a few years ago. He also blogs at Euangellion. Technically, Bird is a New Testament scholar. And yet, like another biblical scholar-turned-systematic theologian (Wayne Grudem), Bird is presenting the church with gospel-driven theology that stands on his careful exegesis. Yet, his book is not so much a desire to give an exegetical theology as much as he has written his book to provide an evangelical theology. You can see him speak to the need for a truly “evangelical” theology in the following video. As a part of Zondervan’s blog tour, I’ve been commissioned to review the introductory section of ET, what is known as the prolegomena (“first words”). Fulfilling that commission, let me outline my review under three headings: (1) a summary of the section, (2) the strength of Bird’s gospel-centrality, (3) the stumbling block of his sources. After making an apologia for the evangelical nature of this theology textbook (see pp. 16-26 and the video above), Michael Bird gives the reader about sixty pages of prolegomena, introductory thoughts about how one should do theology and “talk about God.” He answers the usual questions: “What is theology?” “What must you say before you say anything?” “Is theology possible?” And “What are the sources for theology?” To these questions, Bird engages with a number of historical figures whom he uses as foils for his proposed methodology. Bird also asks the important and often overlooked question of “What is the Gospel?” In just a few pages, he gives the reader a very clear definition, and sets the stage for how he will press the gospel into every corner of his systematic theology. From the start, ‘gospelizing’ is Bird’s stated intention. And from the table of contents, it looks promising that the whole book will be marked by the conspicuous question: What does this doctrine have to do with the Gospel? And how does the Gospel inform this doctrine? The strength of ET stems from this commitment to the Gospel. As Bird laments in his video, there is not another systematic theology that explicitly makes ‘the gospel’ its organizing principle. Other theologians explain what the gospel is, but few (if any) are so gospel-centric. This of course makes his book entirely dependent on how well Bird understands and explicates the Gospel. Fortunately, his definition is very good. This summer I spent ten weeks preaching on the contours of the biblical gospel and by consequence, I read a number of works on the subject. Anyone who has paid attention to the discussions of gospel-centrality in the last decade knows that their has been a great deal of discussion about what the gospel is and what it isn’t. While the term is easily proffered, it is more difficult to define. All that to say, when Christians talk about the simple gospel, it is not often very simple. I submit that an authentic evangelical theology should be a working out of the gospel in the various loci of Christian theology . . . I will defend the view that at its essence theology is the art of gospelizing [I like that word! 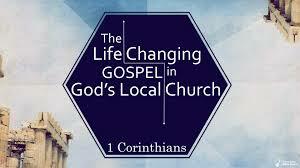 ], that is, making the gospel shape our thinking, praying, preaching, teaching, and ministering in relation to God. Bottom line: Michael Bird’s commitment to the gospel is the overarching strength of his systematic theology. He is unashamed of the gospel and from his opening statement, he calls his readers to understand the gospel and how it informs every facet of doctrine and life. In a world that wants to hedge of the centrality of Christ and his gospel, Bird’s commitment to the gospel is good news for theologians and the church. No doubt, anyone who takes up ET as their first textbook on theology will be rewarded with an engaging book that blends biblical theology, basic doctrine, and current applications of the gospel. That said, Bird has culled his sources in some ways that leave this reader confused and concerned. Space prevents me from listing every concern that I have in this review, but I can list four outstanding difficulties that I have with Bird’s prolegomena. (I will substantiate my concerns with a blog post tomorrow). First, Bird’s treatment of the Reformation overplays the impact that the Reformers had on Modern thought. In one place, Bird cites the Reformers and their move away from church authority as a cause for Modern thought (34).In another place, he commends them for re-invigorating the church with gospel life (41). Well, which is it? Surely, the Reformers rejuvenated the church with the gospel, and their protest against Rome may have had the unintended consequence of breaking down the ecclesial power structures that led to the Enlightenment. But Bird’s description of the matter lacks clarity and may confuse some readers. Second, Bird’s critique of Charles Hodge is misleading. Following in the footsteps of authors like Stanley Grenz and John Franke, Bird calls Hodge a modernist and critiques him for his ‘storehouse of facts’ approach to the Bible. While Hodge’s methodology has weaknesses, his ‘biblical foundationalism’ is categorically different than that of Rene Descartes anti-supernatural, self-referential foundationalism. And so to label him as a modernist without making any distinction misrepresents Hodge and depreciates his contribution to Christian theology. Third, Bird juxtaposes his theological method against ‘naive biblicism.’ To make space for his own methodology, Bird critiques Wayne Grudem and others for simply collecting and organizing Bible verses without giving proper attention to the framework of the Bible. This is kind of proof-texting is a problem. But it is also a problem that Bird can cite Stanley Grenz with approval without critiquing him for Grenz’s coherentist approach to theology, one that puts Scripture on equal footing with tradition and culture. If Bible-believing evangelicals are going to critique biblical naivete, we should also critique those who demote Scripture and make it something less than first order. That Bird critiques Grudem without addressing Grenz is troubling. Last, Bird’s sources for theology are too eclectic for my ecclesial tastes. To say it another way, Bird as an ex-Baptist, post-Presbyterian Anglican is too favorable (in my view) of the Wesleyan Quadrilateral. His own approach differs from the WQ, but he weights tradition and experience more heavily than I would. Admittedly, this is an objection that probably arises from our different ecclesial commitments. Nonetheless, for those looking for a theology book championing the Scriptures as first order, they are going to take issue with Bird’s insistence that experience has a reciporical role in formulating doctrine. (Again, I will substantiate some of these concerns tomorrow). In the end, Michael Bird’s shares his theological commitments in the first section of ET in a way that champions the good news of the gospel. While I have mentioned a number of concerns that I have with his method and his use of sources, I am very interested to see how he will articulate each systematic loci in relationship to the gospel. Bird is off to a good start with a well-defined gospel that should anchor him to the faith once for all delivered to the saints. As I teach systematic theology next semester, I will consult his chapters both to see how he expounds the gospel and to see how his own quadrilateral (Scripture, tradition, nature, and experience) works itself out. If you have read Bird’s first section, tell me what you think. Did you have the same appreciations and/or concerns I did? As I have talked with at least one person who has poked around in the section, I imagine some of the differences of opinion will depend on the readers background (i.e., whether trained in biblical studies, church history, or systematics). So, what do you think? I’d love to hear. Michael Bird is a fresh voice but my concern is that he has clearly equivocated on the doctrine of sola Scriptura and distanced himself from the inerrancy of Scripture. Good points. I haven’t read MB on inerrancy. His Prolegomena doesn’t take up that topic. I know he is contributing to the new 5 views book. So I will have to find out. As always, Pastor David, thanks for your encouraging and edifying comments.